31 Media is a multi-platform media company that serves the IT sector. As a business that consistently endeavours to produce top quality products, the reputation of 31 Media has grown to become one of the market leading IT publishers and events organisers in the UK. The core business of 31 Media consists of: publishing, events, online media, research, executive networking in The Software Testing Forum and recruitment. TEST Magazine provides an unbiased, holistic and pragmatic viewpoint that has made it the leading journal in its sector. 31 Media produces a number of market leading publications and events for the software testing/QA and DevOps space. This includes the annual National Software Testing Conference and the National DevOps Conference held in central London; The Software Testing Conference North which is held in York; The European Software Testing Awards – the comprehensive awards programme recognising excellence in the industry; as well as more focused events such as The TEST Focus Groups, DevOps Focus Groups and other smaller Executive Workshops. The Software Testing News and DevOps Online websites are leading portals that deliver the latest and most up-to-date news and views for the IT industry. With content that includes industry research, white papers, expert opinion pieces right through to tool and service reviews, these sites receive 9000+ visitors per month. Strongly linked to numerous social media platforms and newsletters, content is shared across 35,000+ IT professionals in our vast and growing network. 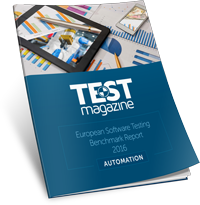 The European Software Testing Benchmark Report is an independent executive report that is published once a year and looks at the changing face of the software testing industry as a whole. The report covers industry trends, nuances, and behaviour, as well as vendor movement and product delivery. As an in-depth document that is commissioned for the industry, put together by those within the industry, and is published to serve the industry, The European Software Testing Benchmark Report is a valuable tool for any strategist within the software testing community. 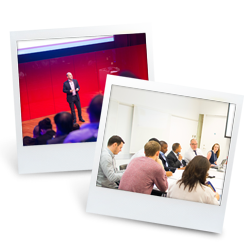 The Software Testing Forum brings together like-minded professionals that are looking to break down the traditional industry silos. 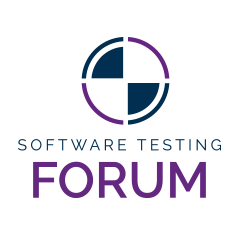 With a whole host of tangible and intangible membership benefits – including the products mentioned above – the Software Testing Forum is the industry’s membership platform dedicated to helping its members be more successful in their day-to-day roles. A young, vibrant and specialist employment agency, TEST Associates matches the best software testers and quality assurance professionals to roles across a wide range of businesses. 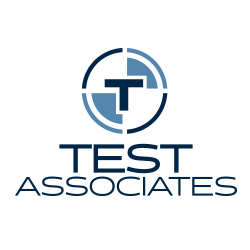 TEST Associates is at the forefront of recruitment in the software testing niche, matching candidates to positions that range from testing and QA analysts through to team leaders and senior project managers, QA directors and chief architects.